It is now widely accepted that workplace wellbeing benefits the organisation and its staff and is no longer viewed merely as a ‘nice to have’. The World Health Organisation asserts that an unhealthy and unsafe workplace leads to work place stress which in turn results in accidents and injuries, work-related illnesses, burnout and depression. For the employer the impacts of these issues are; increased absenteeism among staff, decreased productivity and increased costs. Most of the workforce will spend one third of their adult life at work. Employers have a duty of care to ensure the workplace is one that promotes productivity, both physical and mental health and of course, work-life balance. There are many corporate wellness programmes out there that offer a range of services and supports to promote workplace wellness. However, the results of such programmes can be mixed due to the reliance on employee engagement and take up which can vary due to several factors. Instead it makes sense to design the workplace itself to support wellness. Office design is no longer just about employee productivity but now takes a holistic approach to the overall wellbeing of the workforce. 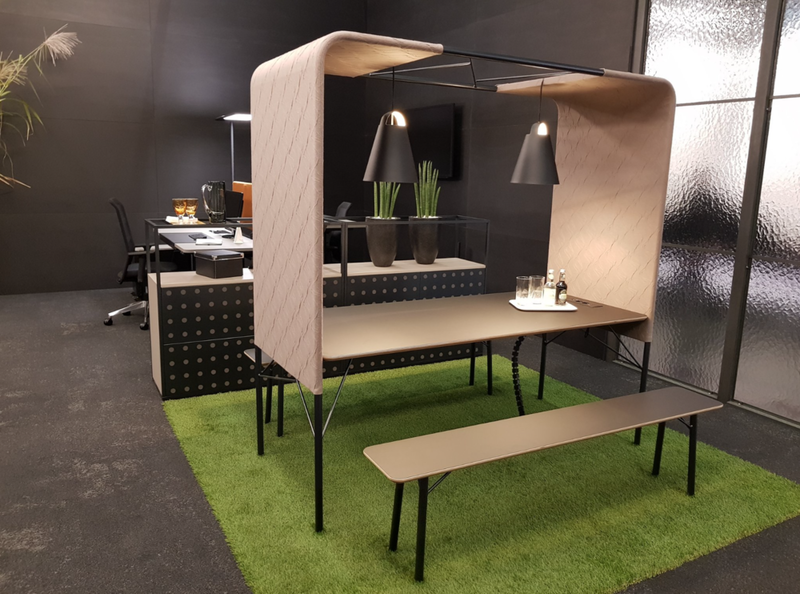 Factors such as access to natural light, air quality, temperature control, acoustics and flexible workstations are all considered in a modern office design. Through this approach, employees are automatically benefitting from an environment that supports their health and wellbeing. 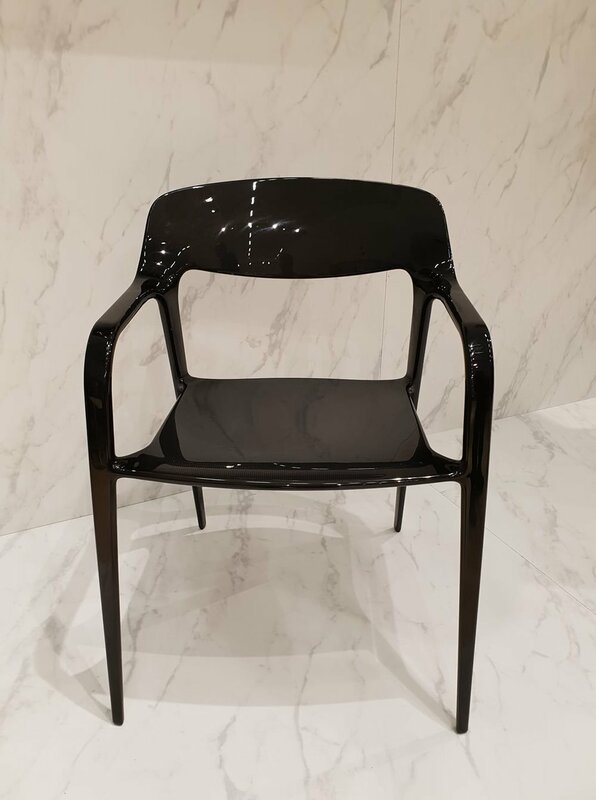 Budget chairs and other office furniture are a false economy. Furniture not only needs to be durable but also plays an important role in stimulating productivity and reducing absenteeism levels. 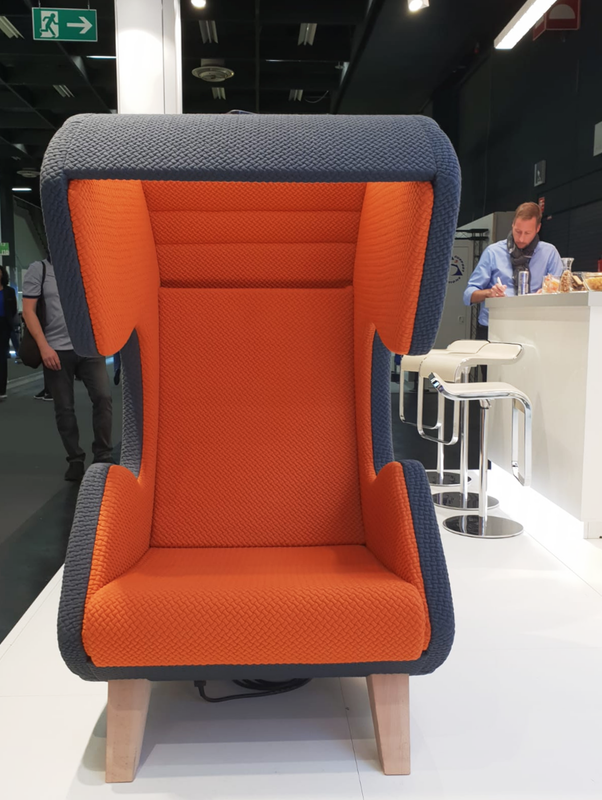 When ergonomics is considered as part of your office design, the result is office furniture that is designed to suit the people who need to use it. The desktop set up of workstations is extremely important in order to avoid slouching and bad posture. Correct placement of the monitor, mouse and keyboard will overcome this. Prolonged periods of sitting is a challenge given that most office workers spend more than 7 hours per day sitting at their desk. The standing desk is a great alternative. Adjustability is key in terms of chairs, lights, sit-to-stand desk and keyboard trays. Use technology to encourage mobility in the workplace, for example, equip employees with laptops and mobile devices. An effective ergonomic assessment of your workplace will improve efficiency and productivity while reducing employee fatigue and discomfort. Providing a variety of spaces will help foster a positive and friendly atmosphere, while improving concentration, collaboration and creativity among the workforce. Breakout areas have been shown to increase productivity, boost creativity and improve wellness. They provide an opportunity to get away from the desk and are a space for formal meetings or informal and impromptu catch ups. A quiet zone allows employees to take time out to work without distraction. Distractions and interruptions can affect the actual quality of work. Quiet zones allow employees the opportunity to disengage and structure their workday based on the task at hand. 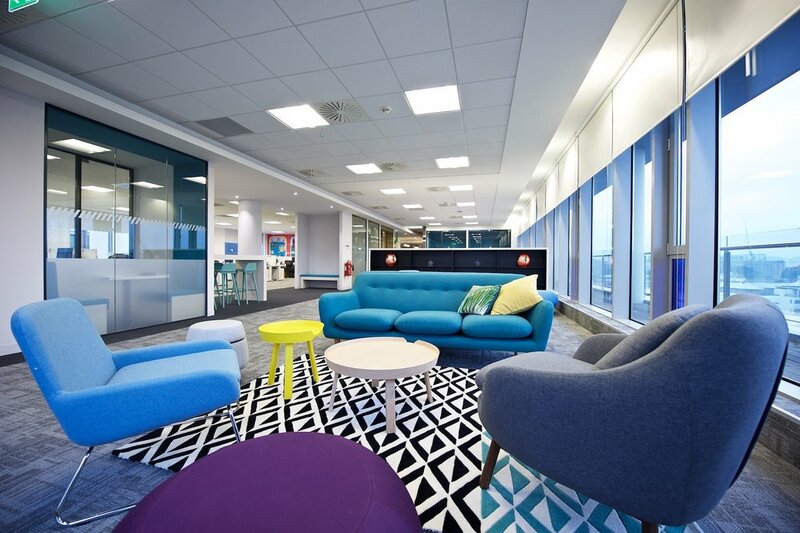 Social areas are an important consideration in any office design. 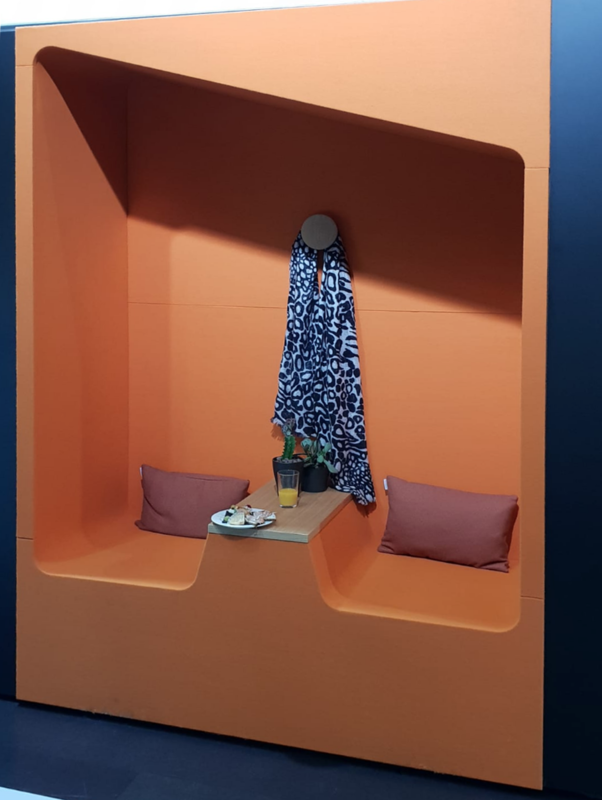 By providing a social space you are giving your employees an opportunity to build relationships with colleagues, ease stress and time to take their mind off work. This change of scene is vital to recharging the brain and improving concentration. 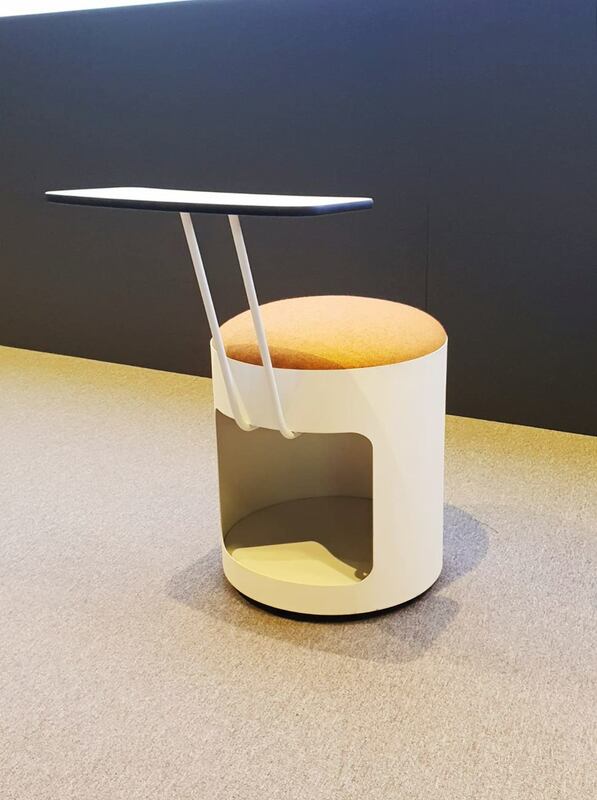 Providing a balanced workplace such as this will support productivity and wellbeing by encouraging movement throughout the day and allows employees the room to think. The open plan office while providing many advantages such as access to natural light and ventilation, can create issues with noise and acoustics if not designed properly. Unwanted noise can negatively impact absenteeism, staff turnover and productivity. The answer is to have a good acoustic design that utilises a combination of strategies to absorb, block and mask sound. 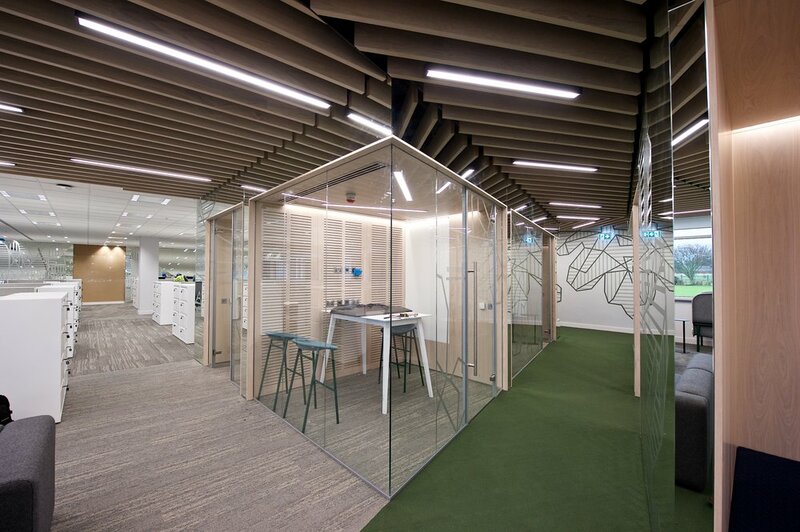 There are many available techniques out there to achieve this, ranging from acoustic panels to soft furnishings to more creative solutions using partitions and glass walls to name a few. It may be tempting to view this aspect of your office design as unimportant, especially as it is a less tangible element, or something that can be addressed in a phase 2 if it becomes a problem. However, building it in to your initial design concept will give you more options in terms of both effective and creative solutions. Lighting is for more than visibility. Good quality light and in particular access to natural light will aide productivity and help to reduce costs. A good light design will utilise natural, overhead and task lighting. It will eliminate glare and shadow and replace flickering fluorescent lights. The effect will be reduced eye fatigue and headaches, increased wakefulness and will generally make tasks easier. Indoor air quality and thermal comfort are essential for a healthy office environment. Illnesses such as the common cold and the flu spread quicker in a poorly ventilated building, while thermal comfort can have significant impact on workplace satisfaction. A good HVAC system will control contaminants and provide a comfortable environment. Key considerations include sustainability, flexibility and cost. Allowing employees some degree of personal control will increase satisfaction with the office environment. This can be achieved using zoned temperature controls and by providing operable windows or window coverings to maximise light, airflow and temperature control. In conclusion, workplace wellbeing is a concept that organisations can no longer afford to take lightly. One of the most effective ways to achieve a productive, healthy and happy workforce is to have a considered office design which places wellbeing at its core. Contact us today to discuss your workplace needs. The eir Sport NEW Studio fit-out by IIS Ltd! IIS Ltd recently completed the new eir sport studio. The new studio allows much more flexibility in the studio layout, camera operation and also benefits from new technology including interactive screens with touchscreen analysis. Interior Integration Solutions Ltd. The most innovative and successful interior fit-out company in the UK and Ireland. Unit A3, Celbridge M4 Business Park, Maynooth Road, Celbridge, County Kildare, Ireland. One question we are asked regularly by clients is whether relocation would be a better option than renovation. The answer very much depends on your businesses’ individual circumstances and needs but there are some important factors to consider. Key considerations include rental cost, business disruption, location, accessibility for staff/clients and future business growth. The motivator for this key business decision is often an upcoming lease expiry or break option. It could also be that your business needs to accommodate change (e.g. business growth, merger, rebrand). Whatever the motivator, it offers a good opportunity to reflect on the strengths and weaknesses of your current location and future growth. To do so, will require a thorough look at your business and operations. There are many pros and cons when considering an office relocation, but the core considerations are outlined below that will help you reach a decision if relocation is right for your business. 1. Current Location– what are the limitations of your current space? In terms of location, cost, size, storage needs, accessibility (public transport) parking etc. If your current location isn’t ticking these boxes it may be time to consider a relocation. a. What is the long-term strategy for your business? Plan now for future growth and expansion. A new location should be fit for purpose to see you through the next 5-10 years. How do you want employees to work? Do want to employ a collaborative working environment? Do employees avail of flexible working arrangements such as home working? Making these decisions now may provide an opportunity to downsize. b. Many items will be easy to budget for but don’t forget to allow for less obvious costs such as; planning permission fees, professional fees; insurances and utility or maintenance costs. Be sure to include all IT and technology costs. Engaging a company who provides a design and build solution will pay dividends. You will be provided with full cost estimates – ranging from space planning, office design, on site construction and furniture installation. They will also be able to advise on what are the key drivers in the overall cost to best maximise your budget. a. How does the new location impact travel times, staff parking, access to public transport, café/restaurants, mobile/Wi-Fi coverage? b. Are there better or worse amenities in the new premises and locality? 5. Disruption– unquestionably there is disruption to any workforce during a relocation, however, it can be planned so that you continue in your existing space until your new location is ready, fully fitted out. An office renovation may seem like a daunting task however, there are several reasons why relocation may not be an option for your business. There are also some significant benefits to an office renovation that are worth careful consideration. 2. 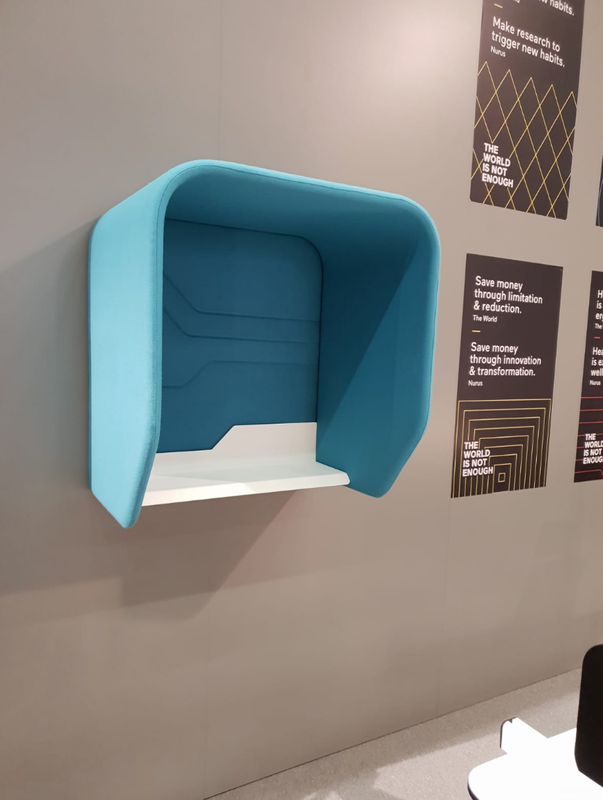 Space – if space is the only motivator for change, refurbishing your existing office can often free up space and make more effective use of the space you already occupy.Consider using offsite office storage facilities if required. a. Maintaining productivity during renovation may be a concern; however, engaging an office fit-out specialist with experience of projects in occupied premises will be able to advise and deliver on a schedule that will minimise disruption to all concerned. b. Office renovation can indeed provide an opportunity to increase staff productivity through the rebuilding of your office into a flexible, modern space. 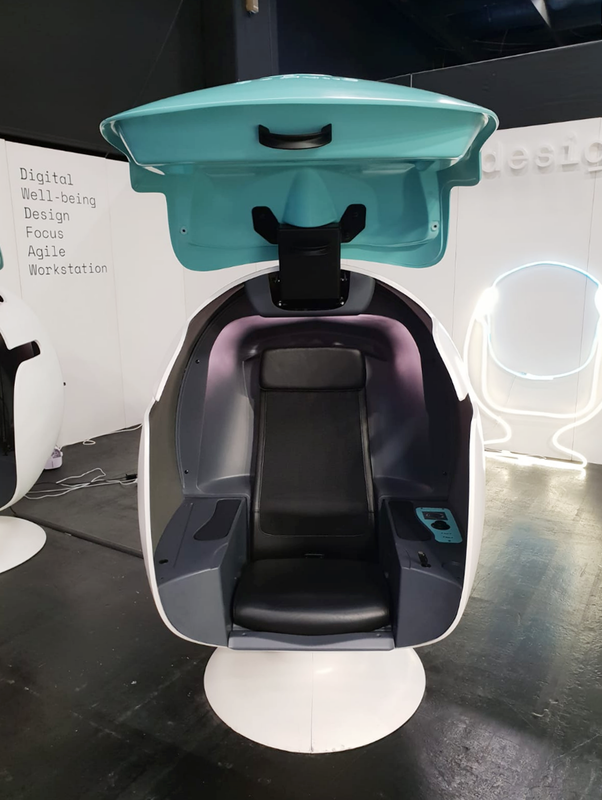 A flexible office will provide hotdesking areas, quiet working spaces and pods and breakout areas. 4. Staff Morale – an office renovation provides an excellent opportunity to boost staff morale, add renewed energy to your organisation and enhance work life balance. This is achieved through the upgrading of facilities, providing attractive break areas and adding some fun to your office design. 5. Rebrand – an office renovation can provide an excellent opportunity for rebranding your business, and vice versa. If you are already planning a rebrand, you will want your office space to reflect your new brand identity and company culture. Your office space gives an impactful first impression of your business to prospective clients and employees. So, what is right for your business? As you can see there are many factors to consider when making this critical business decision. There is no right or wrong answer. Ultimately, it depends on being able to make the changes in your current space that will be effective and future proof your business for the coming years. A consultation with IIS Ltd., will provide an assessment of the pros and cons of both relocation and renovation, taking into consideration your businesses’ needs and circumstances. Contact us here to discuss your specific project needs. Refurbishing your office space is an investment in your business and will deliver benefits in to the future – but only if you start out with a clear strategy! Set yourself up for success by having a good plan in place from the outset. Undertaking an office renovation is a significant project for your business; therefore, getting it right and delivering results is crucial. Identifying the reason for the refurbishment is key to ensuring the finished product delivers on your business’ needs. What is the key driver; Growth in size of the workforce? Facilities in need of upgrading? Health & Safety concerns? Lack of storage? What is the long-term strategy for your business? Plan now for future growth and expansion. Your new workspace should be fit for purpose to see you through the next 5+ years. How do you want employees to work? Do you want to employ a collaborative working environment? If so, the design will need to reflect open spaces, break out areas etc. Do employees avail of flexible working arrangements such as home working? Take this into consideration when planning desk requirements. Have you considered technology? Both existing architecture and future requirements. Stakeholder engagement will be key to this process – consulting areas of the business such as Health & Safety, Procurement, Finance and the people who work in the space etc will help you refine the deliverables but also avoid/highlight any potential pitfalls. The environment and sustainability are high on the agenda for many businesses today and it is not surprising, given the results it delivers – increased productivity, decreased absenteeism and reduced energy bills. Achieving this may seem daunting but it doesn’t need to be complicated or add to your budget. It does however; need to be considered from the outset of any project. Don’t forget the culture; employees need to be encouraged to conserve, recycle and power down devices at the end of the day. Considerable planning should go in to the Health & Safety plan, especially when refurbishment is taking place in an occupied space. This type of project presents challenges and it is important to ensure staff, clients and other building occupants are protected. A good Health & Safety plan will cover the design (ergonomics, furniture), the move (office removal, waste disposal) and most importantly, the renovation. This is where picking the right contractor will be invaluable. Work with companies who have a proven track record in Health & Safety and who have Health & Safety at the core of their business. This will ensure that not only are all legal responsibilities complied with but also, they can carry out risk assessments, offer Health & Safety advice and workplace safety audits. Once you have a clear idea of what you want to achieve; it is time to put a realistic budget in place. Many items will be relatively easy to budget for but don’t forget to allow for less obvious costs such as; planning permission fees, professional fees; insurances, increased utility or maintenance costs, temporary storage during the renovation etc. Be sure to include all IT and technology costs. Engaging a company who provides a design and build solution can pay dividends. You will be provided with full cost estimates – ranging from space planning, office design, on site construction and furniture installation. They will also be able to advise on what are the key drivers in the overall cost. Additionally, having end-to-end project management responsibility assigned to one contractor means that it is their responsibility to deliver the project within budget, on time and to a very high standard. Always a concern when embarking on an office renovation is how to maintain productivity during the renovation phase. First, you need to get buy in from key stakeholders in the business and a good way to do this is to ensure all key departments are represented in your internal project team. This will mean all areas will have an opportunity for input to the process and a sense of ownership is fostered. Next, maintain communication with staff and all stakeholders throughout the process. A good comms plan will include staff briefings, so everyone knows what changes are happening, when it’s happening and what impacts they can expect during the renovation. When the work is complete plan for staff orientation and/or welcome packs to the new workspace. Finally, engage an office fit-out specialist with experience in projects in occupied premises. Their expertise will be invaluable, not only during the fitout phase but also in the planning phase e.g. they can advise swing space solutions. Key considerations during the fitout are access and egress, noise and dust control, consideration of other tenants and disruption to your operation. This is where an experienced contractor will be able to advise and deliver on a schedule that will minimise disruption to all concerned. Contact us here to learn more how IIS Ltd. can help make your office renovation a painless and successful project. 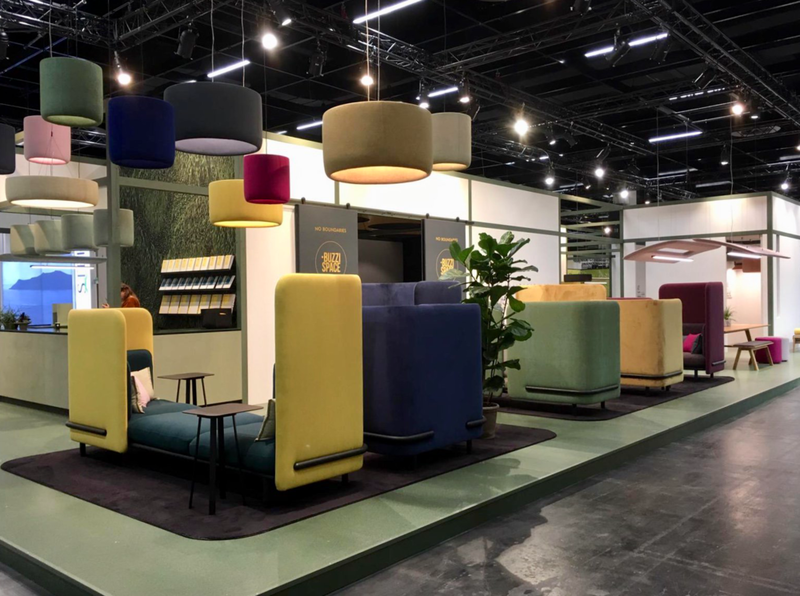 IIS Ltd are in Cologne at ORGATEC 2018. The World's leading trade fair for Office and Facility. An example below: The "Quiet Cone". 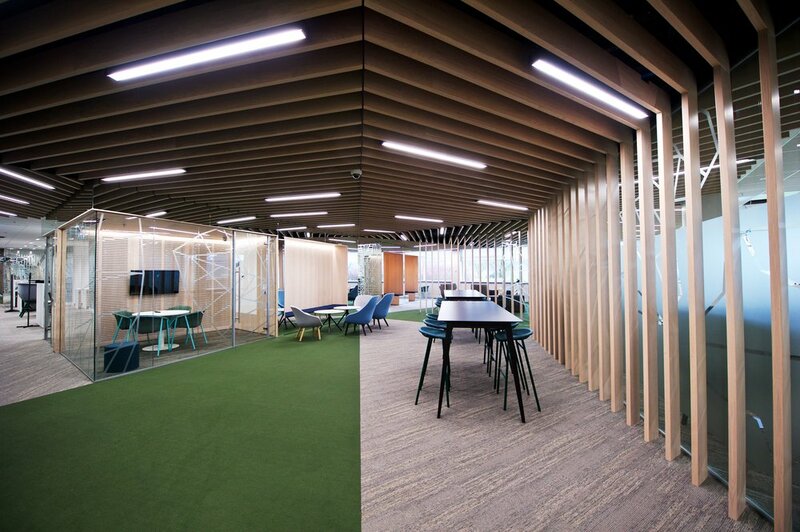 A super noise control solution for the open plan office collaboration area. 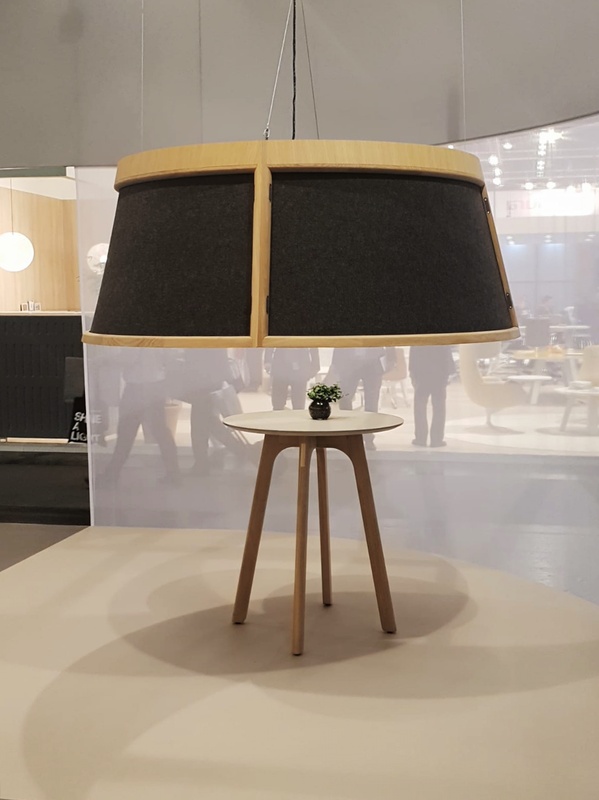 One of many great product found at the ORGATEC. With HDMI, USB, with loudspeaker, with integrated computer, with integrated electrical outlet, with integrated LED, with touchscreen, connected, laptop, with volume dimmer switch. 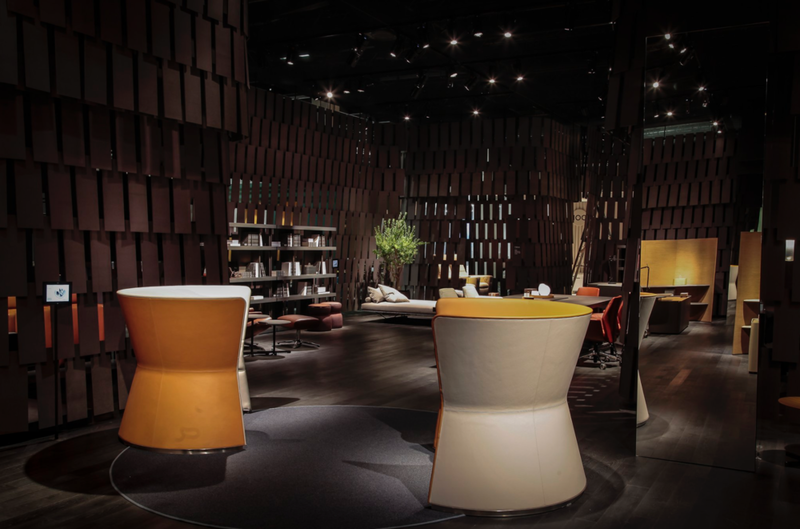 It is a fantastic show here at Orgatec, some amazing ideas and products to bring back and share with our clients. Below is a selection of the many great products found at the show..